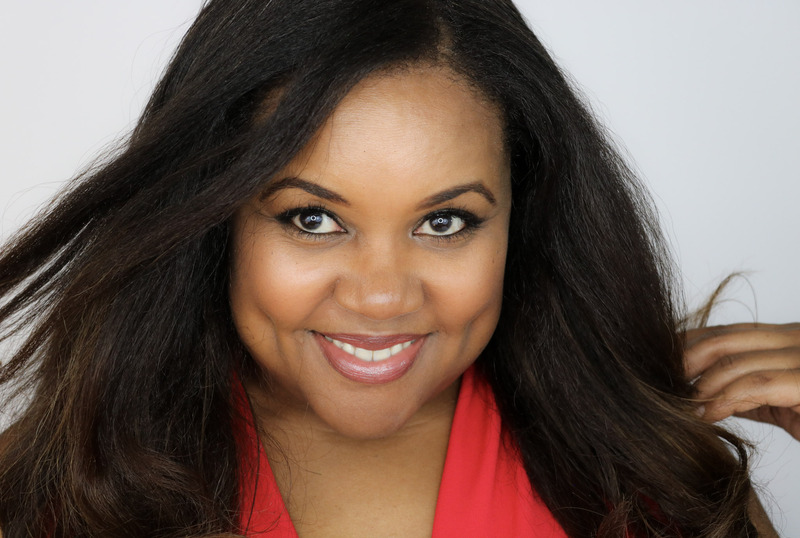 Quiet as it’s kept, I have several jobs: actress, blogger, auntie extraordinaire, etc. And one of my most important jobs is being the primary caregiver for my aging mother. As you can imagine, this particular responsibility requires a lot of work. Thankfully, my mom has always been very healthy with none of the conditions typically found in a woman of her years. A complete blessing, let me tell you. So, for many years, most of the care I and my siblings provided involved helping her with the simple activities of daily living and regularly scheduled doctor’s appointments. Recently, however, she suffered a health crisis that required a change in her level of care and her medication regimen. She went from zero medications to four. Four! Now I’m aware that for some elderly folks, four is nothing, but for my mom, four is a whole lot. Especially considering that my mom didn’t (and still doesn’t) have a prescription drug plan as part of her Medicare coverage. Can you say paying for medication out-of-pocket? Yep, that’s us. The healthcare system in the US is a large and complex machine that requires more than a notion to navigate. Medicare enrollment and Medicare plan changes happen on a schedule set by the federal government. So if your healthcare needs change, you have to wait until open enrollment time to make plan changes or additions. I was thrilled when open enrollment came last fall and I eagerly set out to find an affordable prescription drug plan to help offset the cost of her medication. However, after days of research, I couldn’t find a prescription drug plan that made sense for us because the least expensive plan cost more than her medication! As a result, we continued to pay cash for her medicine all the while enduring lectures from our well-intentioned pharmacist about getting a prescription plan for her. He was absolutely right, of course, but honestly, I was discouraged and exhausted after my search. The other thing was, I didn’t know how to get discount prescriptions without insurance and I resigned myself to simply paying the full, out-of-pocket cost. That is until I learned about the new LifeInCheck™ Prescription Drug Plan. I had no idea that this lifesaver existed! The LifeInCheck™ prescription drug plan is not a Medicare Prescription Drug Plan or insurance, but it provides access to affordable prescriptions to individuals with high-deductible health plans or those who are under insured or uninsured. The plan has 175+ prescriptions that are available at no cost and up to a 90% discount on other prescriptions. 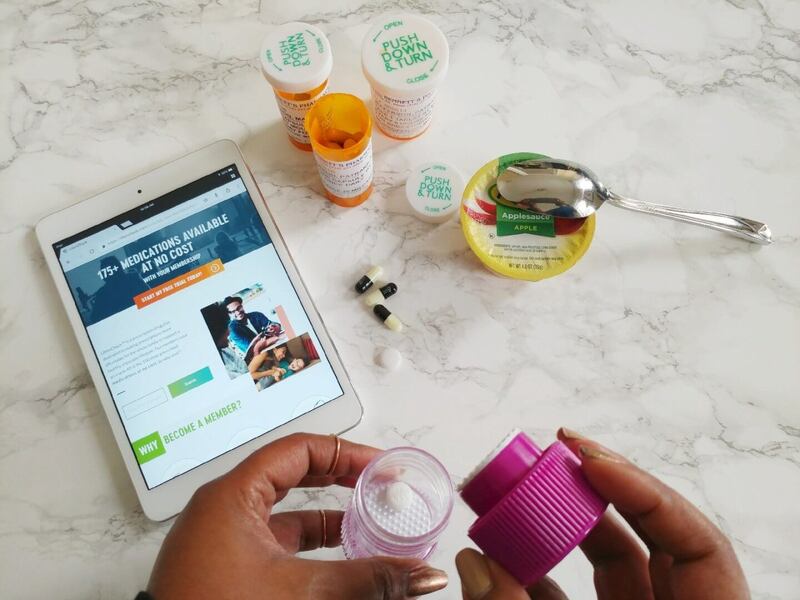 Their no-cost prescriptions include 40 of the 100 most common prescriptions in the US, including certain medications for high blood pressure, antibiotics, mental health and many more. There are over 54,000 pharmacies that accept the LifeInCheck™ card and my local pharmacy is one of them. Not only is your pharmacy likely to be a plan participant, but you can use the website’s search tool to look for the best price for the medications you use. During my medication research journey for my mom, I discovered that costs can vary wildly for the same drug at different pharmacies. Who knew! On average, LifeInCheck™ members save $64 per prescription, which more than covers the cost of the subscription. We’ve saved about 60% on my mom’s prescriptions since subscribing to LifeInCheck™, which is a pretty big number. Some of those savings go toward her fund for ice cream treats. Vanilla is her favorite. There are two money-saving options with a LifeInCheck™ membership: $14.95 per month to cover all members of your household or $149.95 per year to cover all members of your household. You can print the card and bring it to your pharmacy or present the card on your phone. Right now, you can start a 30-day free trial of LifeInCheck™ and believe me when I tell you, it’s totally worth a serious look. I only wish I had known about the LifeInCheck™ prescription drug plan months ago because we could have saved hundreds of dollars! I am certainly not alone in my circumstance. As one of millions of adult children caring for an aging parent, I’m a first-hand witness to how intensive and expensive caregiving can be. 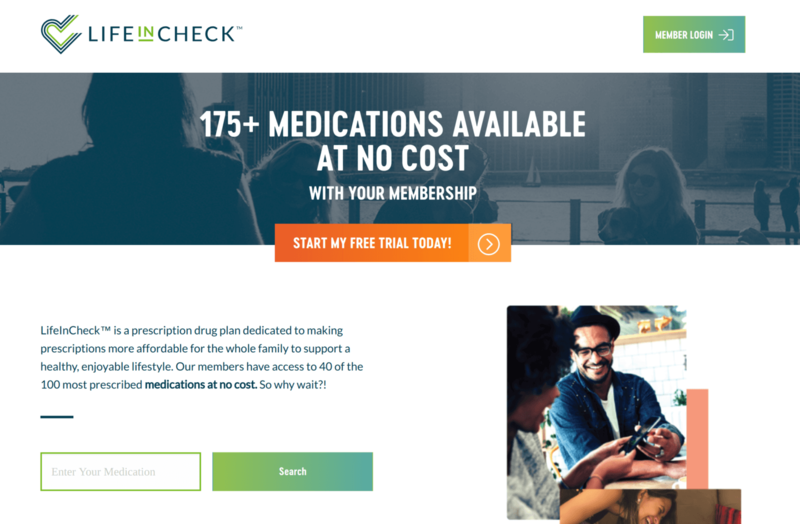 If you too are one of the warriors, I hope LifeInCheck™ can help ease some of the often burdensome expense of prescription medication. LifeInCheck™ is brought to you by Inmar, a data and technology analytics company. Over the past 15 years, Inmar has created relationships with brands and retailers to provide consumers with the lowest price on prescribed medications. Play The Hand You’re Dealt. Lessons in Living. Prescriptions can be so expensive! Any way we can find to save money on them is so helpful, thanks for sharing this discount card. 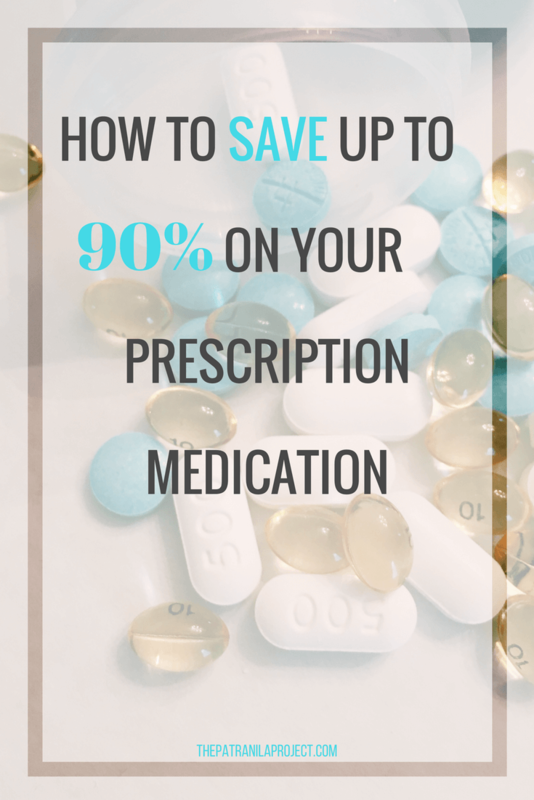 There is an APP called GOODRX that really helps save on prescriptions too!! Thanks for sharing, prescriptions can be costly. I wish all the best for you and your mother. Thank you! My mom is much better now, she’s only on maintenance meds these days. Aside from surgery, ER visits, or hospital stays, prescriptions are one of the most expensive parts of health care. Many of our elderly simply cannot afford their medications especially when many insurance plans just sometimes don’t cover some of the prescriptions they need. This is a great resource! Please do Daisy! I hope this helps him. Oh my goodness all the $$$$$$ on them. We have been doing infertility treatments. The cost alone of meds has just about broken the bank! It’s something that is more often than not remains uncovered. Oh I can’t imagine. I know it’s tough because a lot of insurance companies view fertility treatments as elective. I’m going to the US in August. Your post is exceedingly useful to me! Thanks!